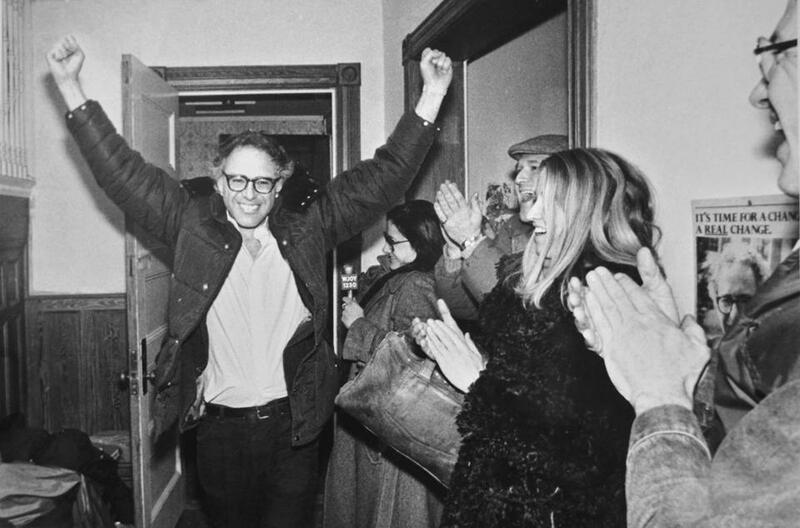 After Bernie Sanders won the mayoral race in Burlington, Vt., in 1981, some felt the socialist’s career would be short. 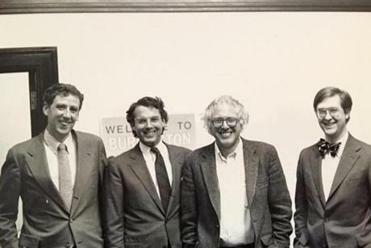 And so when the baby-faced Bailey became a member of the Burlington Board of Aldermen at age 28, he was stunned to find himself sitting across from socialist Mayor Bernie Sanders. Like many conservatives in town, Bailey had dismissed Sanders as a “kook” when he became mayor in 1981 and presumed he would not last long. But here it was four years later and Bernie, as everyone called him, was still there, sitting under his beloved portrait of Socialist Eugene Debs in City Hall. Bailey, a banker’s son, disagreed with some of what the wild-haired mayor said, but on the bigger issues, like keeping property taxes down, they saw eye to eye. To the fury of his Republican colleagues, Bailey began to vote with the mayor. As the Democratic contest heats up, Bernie Sanders is trying to move beyond his core audience while keeping his base revved up. As Senator Bernie Sanders’ campaign for the presidency unfurls, there is a surprising truth to be found in his eight-year tenure as mayor of Vermont’s largest city, or the “People’s Republic of Burlington” as it was often called. Sanders, the unyielding ideologue, who once read Fidel Castro’s biography during a crucial meeting in City Hall, turned out to be a pragmatic and efficient administrator, one so fiscally conservative that some Republicans say he managed to “out-Republican the Republicans.” He just did it his way. Determined to find alternatives to the property tax, which he considered regressive, he had municipal attorneys pore over the city charter in search of novel revenue sources. 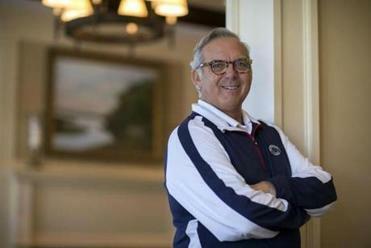 When he found the city’s insurance contracts had been repeatedly awarded to the same local companies, he applied a “radical socialist concept, competitive bidding,” as he later jokingly described it, and saved the city thousands of dollars. Conservatives grumbled when Sanders put his sneaker-clad feet up on the table, but when his new treasurer discovered a $1.9 million surplus hidden in the budget, they grew quiet. Walk around Burlington today and it is hard to miss Sanders’ legacy. The city’s waterfront, slated for condominiums and commercial development when he took office, now boasts a community boathouse, a science center, and a public beach. The city’s lone downtown food store is a cooperative market that heeds 26 “Supermarket Principles,” one of them a commitment to serve low-income customers. Not far from it is the Champlain Housing Trust, a nonprofit that manages about 2,600 units of affordable housing, and is the largest such trust in the country. Sanders had his share of critics, to be sure. Those to the right said he was too antagonistic and ridiculed his development of a municipal “foreign policy,” while those on the left said he was too compromising, a traitor to the socialist cause. But few disputed that his policies resulted in an efficient and responsive city government, one that, among other successes, kept the streets cleared of snow. 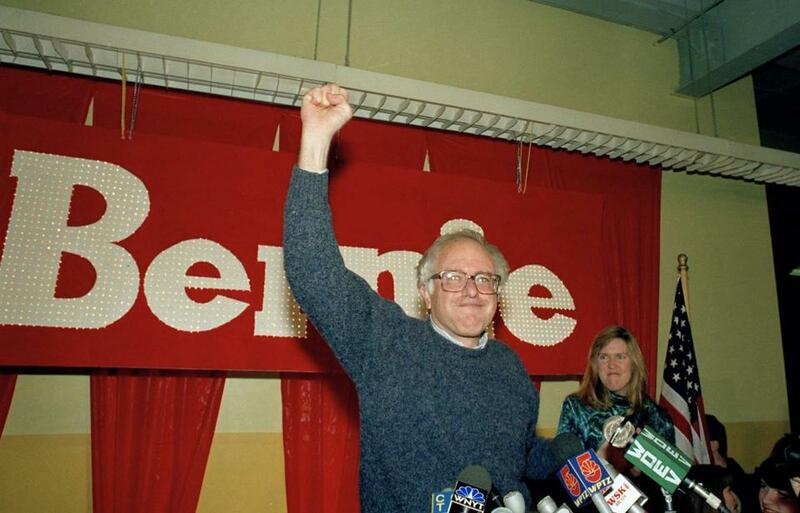 Bernie Sanders raised his arm in victory after defeating Republican Representative Peter Smith in the 1990 House race in Vermont. After he won his fourth term in 1987, US News and World Report voted him one of the top 20 mayors in the United States. “He did it one ordinance at a time,” said Peter Dreier, professor of urban policy at Occidental College who has tracked Sanders’ tenure, along with other progressive mayors. Frederick J. Bailey, former Republican alderman in Burlington, Vt.
A lot has changed since then. Sanders, 74, who famously eschewed office attire while mayor, now routinely wears a blue blazer and, on special occasions, a tie. His hair, once likened to a “cuckoo’s nest after a rainstorm’’ is combed, more or less. Many of the brain trust of young men and women whom he drew to City Hall, known as “Sanderistas,” are retired. But one thing that has hardly changed at all is what Sanders is talking about. When Sanders campaigned in Burlington’s neighborhoods 35 years ago he was talking about “the needs of the average worker” and railing against the richest 1 percent, “who make the basic decisions affecting all of our lives.” Sound familiar? The front page of the The Burlington Free Press on March 4, 1981, said it all. “Sanders Stuns Paquette in Close Mayoral Race,” trumpeted the headline. Underneath it was a photograph of 39-year-old Sanders, his arms stretched triumphantly in the air, his face grinning broadly. Sanders, a native of Brooklyn, N.Y., and a perennially unsuccessful third-party candidate, had done the impossible and defeated the five-term incumbent Democrat by 10 votes. Word rocketed through the lakeside city. That he was not of the crowd that had long run the city was precisely why he won. After a decade in office, the incumbent mayor Gordon Paquette had, many felt, grown complacent and was out of touch with an increasingly young and activist electorate. The day after Sanders won, Antonio Pomerleau, a prominent Republican businessman who had proposed the waterfront plan, strode into Sanders’ office and declared, “You may be the mayor, but it’s still my town,” Pomerleau, 98, recalled. In 1968, Sanders moved to Vermont full time from New York where he had been working with low-income youth. And then the war began. The 13-member Board of Aldermen dug in its heels, determined that the socialist mayor in their midst be stopped. When Sanders showed up with his new secretary, the board fired her, saying he had not followed proper hiring procedure. When he tried to make appointments to key government posts, the board rejected them outright. Enraged but undaunted, Sanders’ exiled team began meeting in one another’s apartments, poring over the city budget on their kitchen tables in search of revenue sources that would enable them to hold the line on property taxes while pursuing the new mayor’s goals. Sanders, meanwhile, planned task forces on issues related to women, youth, and the arts, and launched a hugely popular public concert series in the city’s Battery Park, which continues to this day. When local retail workers began to unionize, Sanders threw them his support. His message to those working for him was the same: “He’d say, ‘I want new ideas,’ ” recalled John Davis, former housing director with the city’s Community & Economic Development Office, imitating Sanders accent, as many who worked with Sanders do. Citizens enthusiastically flooded City Hall meetings with their own ideas, but the mood there remained combative. As the 1982 alderman elections approached, Democratic alderwoman Joyce Desautels predicted that the “fungus of socialism” would be eradicated. But voters liked what Sanders was doing. Three of his allies, part of an evolving Progressive Coalition, won seats on the 13-member board, bringing the total in his corner to five and giving them the crucial ability to sustain a mayoral veto. In the next year’s mayoral election, Sanders won 52 percent of the vote, crushing his two opponents and drawing a record voter turnout. Even some of his fiercest opponents began to relent. Terry Bouricius with Bernie Sanders in 1983. By the mid-1980s, the Progressive Coalition’s revolution was in high gear. City attorneys had come up with several innovative ways to generate revenue, including a tax on the gross receipts of bars and restaurants and an excavation fee on utilities whose work damaged the streets. Sanders won the ability to increase the tax rate on commercial and industrial property, thus easing the burden on residential taxpayers. He had also begun a long-term campaign to force the tax-exempt Medical Center Hospital of Vermont, as it was then called, and the University of Vermont to contribute more to the city, which they eventually did. Not all of Sanders’ fiscal proposals succeeded. Joe McNeil, former city attorney, estimates that several of a dozen proposals that required legislative approval were shot down, including one to stabilize property taxes on seniors. City Attorney Joe McNeil, Alderman Frederick Bailey, Mayor Bernie Sanders and City Administrative Officer Jonathan Leopold in 1987. Sanders endorsed a more modest plan, but some citizens objected that it was still too development-friendly. In the end, the mayor’s team had to go back to the Planning Board. The Sanderistas were also very focused on one of the premier issues of interest to city residents; improving the streets and keeping them clear. Widespread road repaving got underway early on and the city purchased a fleet of new snowplows. A snow removal program called Operation Snow Shovel was launched, in which young people cleared snow for the elderly and disabled. Sanders, seated in his office beneath a poster of Nicaragua, was a restless force. Consumed by his sense of mission, he would often roam in to people’s offices to strategize or to lecture loudly, with neither a hello or goodbye. About the only time some saw him lighten up was when his young son, Levi, dropped by for a visit. Sanders, who is famously private, was not married to his son’s mother. He is now married to Jane Driscoll, formerly the head of the city’s Youth Office. And many of those who worked for him minded not at all. Some legislators felt Sanders’ abrasive style compromised his influence, but Sanders was nonetheless growing increasingly adept at using the power of his office. In few matters was that more obvious than the struggle over Northgate Apartments, the city’s largest affordable housing complex. Not long after he took office, the property owners became legally able to convert the 336 units into luxury condos. Fiercely opposed, Sanders swiftly got several ordinances passed that limited their ability to do so. By the time the Connecticut owners sat down in Sanders’ office in 1987, nervously eyeing the leftist posters on his wall, Sanders was developing a plan to purchase the property, and his intent was that it be turned over to the tenants to manage. Sanders took on another opponent that even he knew he was unlikely to defeat: the federal government. During his years in office, the city issued a stream of resolutions calling for an end to US aid to El Salvador, condemnation of support for the Contras in Nicaragua, and the transfer of US funds from military to civilian needs, to name a few. Ties were established with sister cities in the Soviet Union and Nicaragua, while international visitors including members of the Irish Republican Army were regularly invited to City Hall. Voters, nonetheless, liked Sanders more than ever. By his third election in 1985, he cruised to victory with 55 percent of the vote. But still lacking a majority on the board and locked in combat with the state Legislature on a host of fronts, Sanders was worn down. By his third term, Sanders was chaffing at the limitations of local government and had begun to consider higher office. By then, Sanders had clearly made the city a far more vibrant and citizen-friendly place and his name was well-known. After a disappointing bid for governor in 1986, he easily won election to a fourth term in 1987. Months later, Sanders declared he was running for Congress. 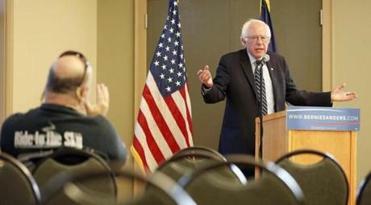 In his final term as mayor, Sanders did something uncharacteristic. Just for fun. 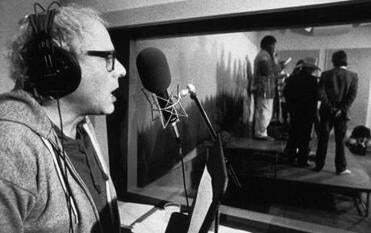 Bernie Sanders recorded a tape of five songs and a discussion of his philosophy that was distributed in stores to get his message to the public. When a local producer asked him if he would record an album of his favorite songs, Sanders agreed. The only problem was that Sanders could not sing very well. And so, instead, he spoke the lyrics of the several folks songs he had chosen, such as “We Shall Overcome,” in heartfelt preacher-like tones as a chorus sang back up. 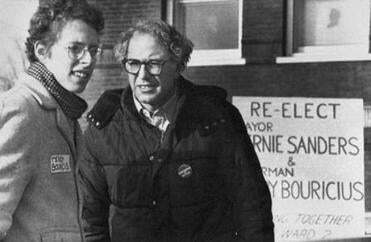 It’s been almost 30 years since Bernie Sanders occupied the Burlington mayor’s office. But his presence still hovers over the town like the Green Mountains on the horizon. In his presidential campaign office on Church Street in Burlington, more than a few volunteers are gray-haired veterans of Sanders’ mayoral days. Shops that line the pedestrian mall feature Bernie paraphernalia, including buttons that say “Feel the Bern” and a “Bern One for Bernie” marijuana pipe. Sanders keeps in close touch with some of the members of his old team who still work in town. When he began thinking of running for president a couple of years ago, several of them gathered at his house to brainstorm. When he is in town, he often walks familiar routes with old friends. In September, Sanders called his old friend Tony Pomerleau, the real estate agent, to wish him a happy 98th birthday. He also had a question for him. 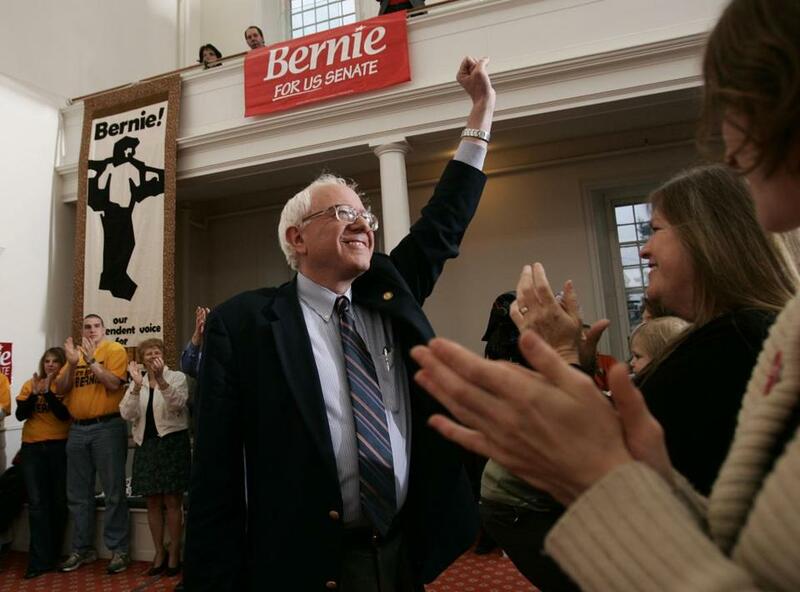 Bernie Sanders announced his candidacy for the US Senate in May 2006 at the Unitarian Church in Burlington, Vt.
Sally Jacobs can be reached at sjacobs100@aol.com.